How does it look? Is it cheap looking or is it trick? Does it look like it could be factory? I was looking at some on ebay, but keep thinking it will be crappy looking when applied. like most aesthetic mods, the answer is: it depends. get the right stuff, put it on correctly, and you're golden. it's pretty rare to see rim stripes that i think look bad. it's certainly one of the cheaper and easier mods you can do to your bike. just take your time.. they look great. Cool. Thanks for the ebay connection. Do you guys remember what size you got? The seller states that 1/4" is most popular but that seems thin to me. What do you think? Here is my F4 with 6mm (1/4inch) red reflective rim stripes from the seller I mentioned above.. Thanks for the pic Adam. Thats the size I'll get. Did you paint your rims or is that standard for that year/color F4i? I believe they were powdercoated by a previous owner... I have never seen another F4 or F4i with gray wheels... most were black it seems... they do match nearly perfectly..
Go to http://www.tapeworks.com/Rimstripes/RimstripesHome.html. You can do both side of both wheels for $20 - $30 and it looks like it came that way from the factory. Their product is way better than anything on eBay and their customer service is great. 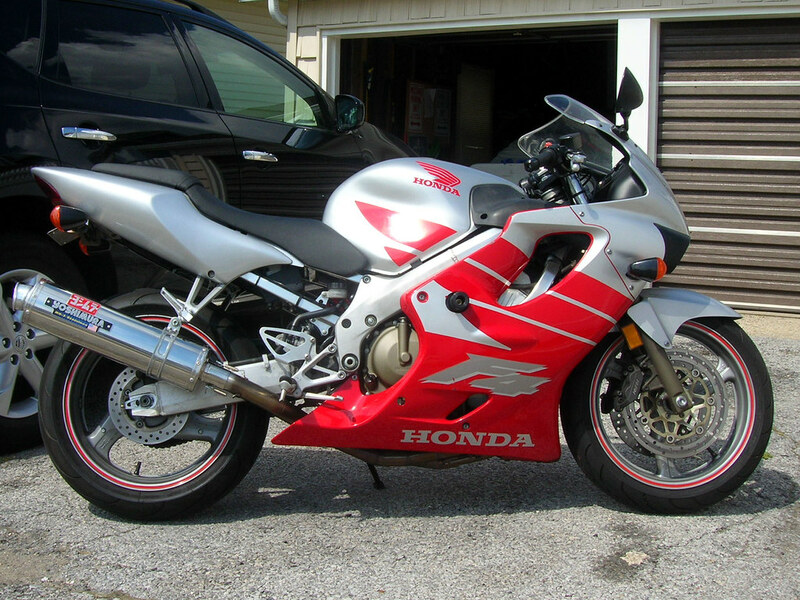 Follow the link above and click on the "Honda master color reference guide" and it will tell you which color will match your bike perfectly (assuming you have OEM paint).